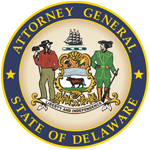 The Consumer Protection Unit of the Delaware Department of Justice is making this Model Data Security Breach Notification Form available to provide assistance and guidance to businesses and other entities who are subject to Delaware’s data breach notification law and are required to give notice of a data breach to the Attorney General under Title 6, § 12B-102(d) of the Delaware Code. The Consumer Protection Unit will deem use of this Model Data Security Breach Notification Form to constitute appropriate written notice to the Attorney General that is required under Title 6, § 12B-102(d) of the Delaware Code. 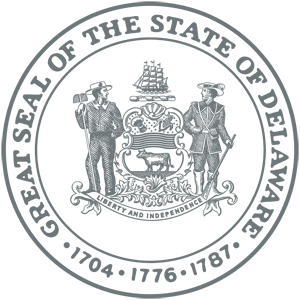 Other forms of written or electronic notice may be appropriate, but must provide the same information sought by this form. PLEASE NOTE: The information disclosed on this form, or otherwise provided to the Department of Justice pursuant to Title 6, § 12B-102(d) of the Delaware Code, may constitute a public record subject to disclosure under Delaware’s Freedom of Information Act (Title 29, Chapter 100) (“FOIA”). FOIA requires that the Department of Justice’s records are public records (unless otherwise declared by FOIA or other law to be exempt from disclosure) and are subject to inspection and copying by any person upon a written request. A person providing notice of a security breach to the Department of Justice may request confidential treatment when it delivers the notice, by identifying the information for which confidential treatment is sought, representing in good faith that the information is not a “public record” as defined in FOIA, and briefly stating the reason(s) why. The Department of Justice will independently determine the validity of the request for confidential treatment. This form is only for use by businesses. If you are a consumer who wishes to file a complaint, please use our online consumer complaint form. If you chose “Other,” please explain here. Was Notification Delayed Because of Law Enforcement Request? Credit Monitoring/Identity Theft Protection Services Offered? If credit monitoring services were/are offered, what is the duration? If credit monitoring services were/are offered, who is the provider? Identity Theft Protection Services Offered? If identity theft protection services were/are offered, what is the duration? If identity theft protection services were/are offered, who is the provider? Law Enforcement Agency Notified of Security Breach?